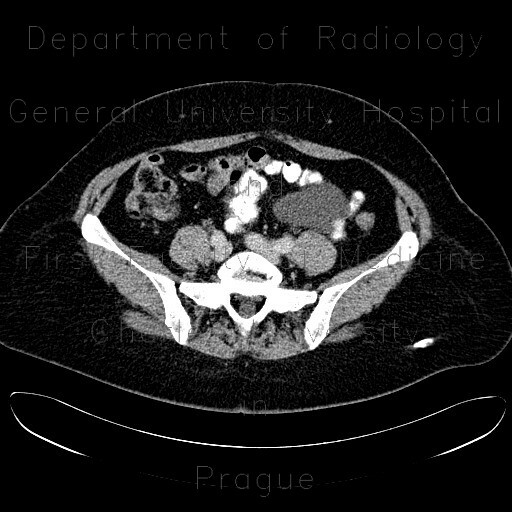 This was an accidental finding of a thin-walled well-defined fluid collection in the mesentery in a patient undergoing staging of malignant melanoma located elsewhere. It has no septa, its wall is very thin (almost imperceptible on CT) and the wall is not enhancing. This was finally a mesothelial cyst.